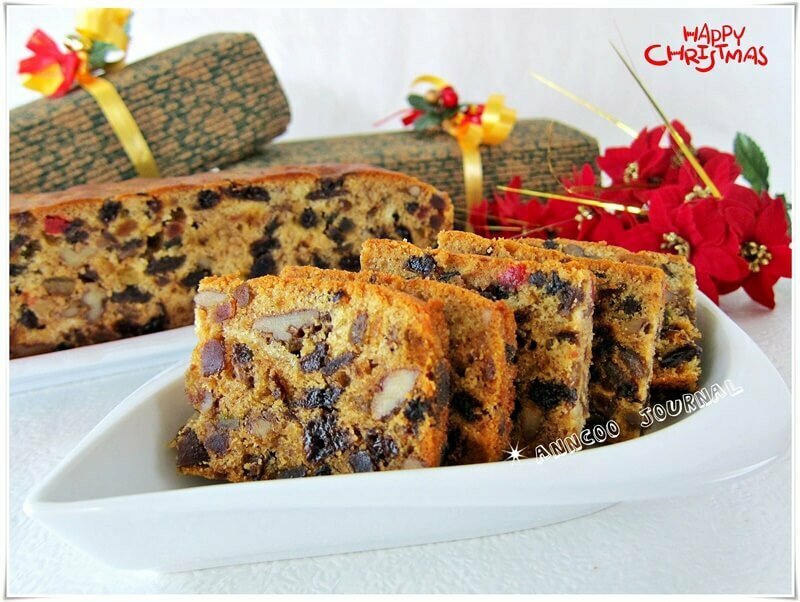 I love Fruit Cake that is moist, rich and jam-packed with mixed dried fruit and nuts and full of rum flavor. Fruit cake can be made at least 2 weeks in advance (some even said 1 month in advance) and this is my 3rd Fruit Cakes that I baked for my friends as Christmas gift and I’m going to bake this for Chinese New Year too. Hope you love this recipe :)) Enjoy! In a large bowl add mixed dried fruit and pitted prune together with 8 tbsp of rum and mix well, cover with cling wrap until next day. Beat butter and sugar till light and fluffy, slowly add in rum (2 tbsp), rum compound, orange juice, orange zest and vanilla extract, mix well. Add eggs, one at a time and scrape bowl. Add ¼ portion of flour to the mixed dried fruit. Slowly add ¾ portion of flour and mixed spice to butter mixture, mix well. Stop machine. Pour in mixed dried fruit and chopped walnut, mix well with a rubber spatula then pour into cake tin. Bang tin on table once to settle the content. Bake at preheated oven at 160C for 1½ hour. **After about 30-40 mins when the cake starts to turn brown, cover cake with foil loosely on top and continue baking. Pour 3-4 tbsp of rum on to Fruit Cake as soon as it comes from the oven. Leave cake to cool, turn out from cake tin and wrap with cling wrap and store in the fridge. Pour 2-3 tbsp of rum on cake every three days until it is ready to serve or giveaway as Christmas gift. A Merry Christmas & Happy New Year bright with joy and success. Hi Adeline, my recipe is to save your time of soaking the dried fruits. Sure you have to stir the dried fruits everyday. If you want to soak the dried fruits for 3 months, then is better for you to follow the recipe not mine. Hi Ann, thanks for your info. I did follow your recipes twice and proven from friends is very good. Will definitely follow your recipe. Sorry i just curious about the 3 months soaking only. Hi Ellyna, you can just omit the rum and bake as a normal fruit cake. Chill the cake for a neat cutting. Hi Adeline, No need to grease. Just line the pan with baking paper all sides up. Hi Ann, where did you get those lovely packaging? Hi Angela, The packaging is available at Phoon Huat. I cannot find the packaging in Clementi Phoon Huat. Which Phoon Huat did you biy ypurs? Hi Angela, I bought it at Bencoolen PH. You may check with Kitchen Capers at Kent Ridge MRT. Hi Adeline, you can use the aluminium bake tray without greasing. Hi Adeline, yes you can use the aluminium fail bake tray but I still think baking pan is the best because the cake is about 1.5 kg after baked. Hi Belinda, Is an 8 inch square tin. Please read on the Notes below the recipe. Hi Ann sorry I have another question. What is the reason for a short cake? Is it overmixing? Cos I seem to have rather short cakes in my baking when I use a normal baking pan though cake tastes good. Thank you. Hi Elaine, There are various reasons for a short cake. 1. the butter not beaten to light and fluffy enough. Most recipes required soft butter, that is soft to touch for easy beating. 2. baking powder must be fresh. You can also use double action baking powder. 3. Do not overmix the flour. Good morning Ann. Thank you for your useful tips. Have a nice day.! Hi Ann I just baked your fruit cake last night. The cake looks perfect except that the cake is short in height (1 and a half inch) compared to yours. I baked in an 8 inch square baking tin. How do I get a taller cake? Thks. Hi Elaine, My cake is actually not very tall, about 2 inches high. Is better to use large egg, about 70g and you can also bake this cake in loaf pan if you want a taller cake. Hi Ann it was nice of you to give me a prompt reply. Will bake in a loaf pan next time. Thank you. Thanks for reply. And the last question it is salted butter or unsalted butter? Thankyou! I usually used salted butter unless otherwise stated. Hi Ann, may I ask if we could use dark muscovado sugar to bake? Can’t wait to try this recipe. Thanks in advance! Hi Irene, sure you can use muscovado sugar in this recipe. Hi Ann, may I know whether I need to drain the mixed fruit or pour in the mixed fruit together with the rum? Hi Jessica, The mixed fruit will absorbed the rum after soaking. So just pour everything together with the rum into the batter. Glade to chance upon this old post. The fruit cake turned out awesome! Just the right sweetness, packed with fruit and rich rum taste!! Super good! Thanks for the recipe. Hi Yewjinn, You may want to check your local baking supplies stores about the mixed spice. The mixed spice is also popular for making Indonesian layeredd cake. You can omit the spices if you can’t find anywhere else. 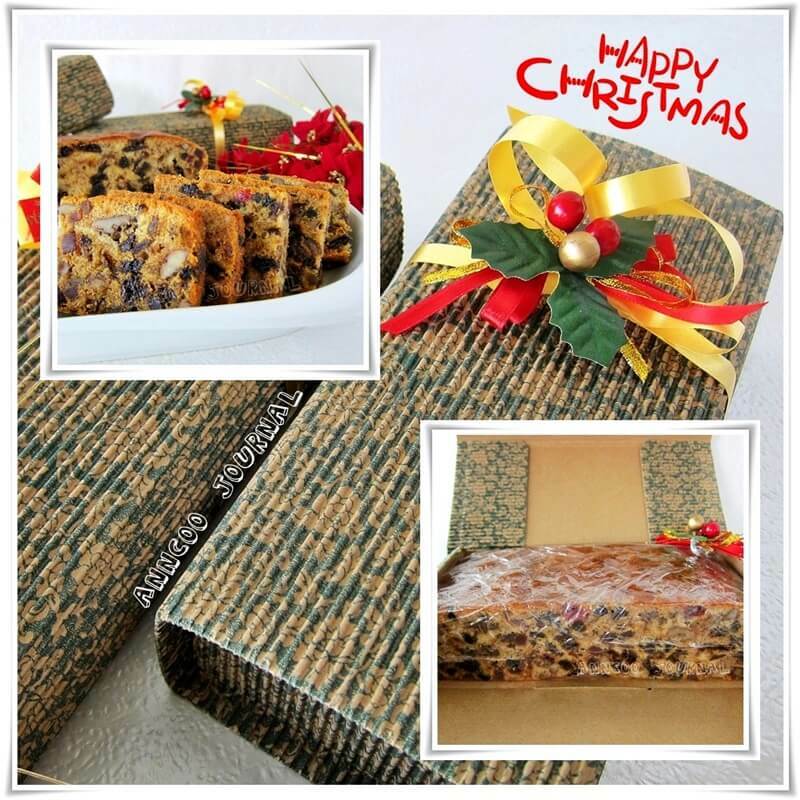 Hi Ann, Merry Xmas and thank you for sharing this wonderful fruitcake recipe. Unlike your fruitcake my turns out quite short ( I used a 8inch square tin to bake this cake). Is it suppose to be short or have I over mixed the batter? Your advice will be greatly appreciated. Thank you. The height of this is slightly more than 2 inch. My 8 inch cake is narrow at the bottom, so the cake came out slightly higher than a 8 inch square cake. So shouldn’t be any problem. Thanks for the speedy reply, really appreciate it. Wish you a wonderful weekend! Hi Ann , if I use 8″ x 4″ non stick round cake tin to bake this Christmas fruit cake. Will there be any changes in textures n volume. Hi Susan, If the batter can fit into 8 x 4 inch pan, then texture will not be much different. Anyway, I think the pan is quite small. Do I hv to toast the walnut? May I ask what is rum compound. Can’t wait to bake this recipe for this yr xmas. Yes, you can toast the walnut for 5 mins at 180 deg C.
Rum compound is a concentrated thick paste and you can get at Phoon Huat. Hi Ann. Thank you for sharing all the wonderful recipes. Do I have to be accepted in order to follow you? Thanks again. You may like to enter your email in the subscription box at the sidebar to receive regular updates. Dear Ann, may i know if dried fruits must be soaked in a glass and air-tight container pls? And can i leave the cake wrapped up in airtight container to age for a few days without refrigeration before serving pls? Hi Jasmine, No problem to soak the dried fruits in any type of container. Sure, you can leave the baked cake at room temp for 3-4 days or keep it in the fridge. Then thaw the cake for a few hours at room temp before serving. Hi, after wrapping the cake and must I put it in the container before putting into the refrigerator. Hi Murphi, Yes, you can store the cake in the refrigerator after wrapping up. like too strong taste can reduce to preference? will it affect the moisture of the cake? Hi Jamie, No worries. You can omit the rum and bake the cake like a normal fruit cake or just add rum into the batter (no need to add rum every 2-3 days after baked). Without adding the rum, the cake will be on the dry side. can reduce the amount of rum to 5 tbsp? and the flour so little can carry the cake – so amazing? Jamie, Sure you can use 5 tbsp of rum.. This cake is packed with full of dried fruits (700g) and I assure you it is very fragrant. thanks a lot, Ann! Merry Christmas to you and your family! Hi ann, thank you for sharing this lovely recipe! Can help answer my questions pls? 1. if i use XO brandy – use same amt as Rum? 2. soaking of dried fruit must keep in fridge? 3. after bake must store in fridge and can't keep in room temperature? You can get the rum from Phoon Huat. Yes you can use brandy too, the same amount as Rum or add a little more if you want. I only soaked the dried fruit in room temp for a day or two. Also no problem to soak it in the fridge. The cake will last for a month if kept in the fridge. Thanks Ann for your prompt reply. I am told that Rum is sweeter than brandy is it true? Hi Siew Gek, I like the aroma of Rum and use buy the Dark Rum for baking. I'm not sure of the sweetness between the two liqueur but brandy is also good for baking and cooking. Hi Ann, may i know what kind of rum did u use pls? Hi Wendy, I used Meyer Dark Rum, bought from the duty free shop at the airport. Hi. I have tried the recipe. The result is awesome. I soaked the mixed fruits for 5 days and also feed the cake with rum accordingly for 3 weeks. Thank you so much. Will serve the cake in another 2 days time. Merry X'mas! Hi Ann, my husband enjoyed your fruitcake and wants me to bake again this year for Christmas. However, he wants a stronger taste of Rum in the fruits/cake so do I increase the soaking time or do I increase the amount of Rum and just soak overnight? Thanks for your help! Hi Ai Li, Yes, you can add more rum and soak the mixed fruits for more than a day. Hi Ann, when I baked this cake last year, I poured rum over it every three days for at least 2 weeks and when it was ready to eat, I realised that there was a lot of rum collected at the bottom of the cake in the cling wrap. Is it supposed to be like this or did I do anything wrong here? Thanks for your help again! Hi Ai Li, Seems like you have poured too much rum over your cake. You can pour rum in every 4-5 days instead if find the cake bottom is still wait. Thanks, Ann! My 1st cake is now in the oven. H Ann, sorry 1 more question……just want to confirm rum compound is different from rum flavour. Thanks! Hi Ai Li, Hope your cake turned out well. Rum compound is a concentrated thick paste, definitely much better than the flavour. This Christmas Fruit Cake looks delicious and adorable. 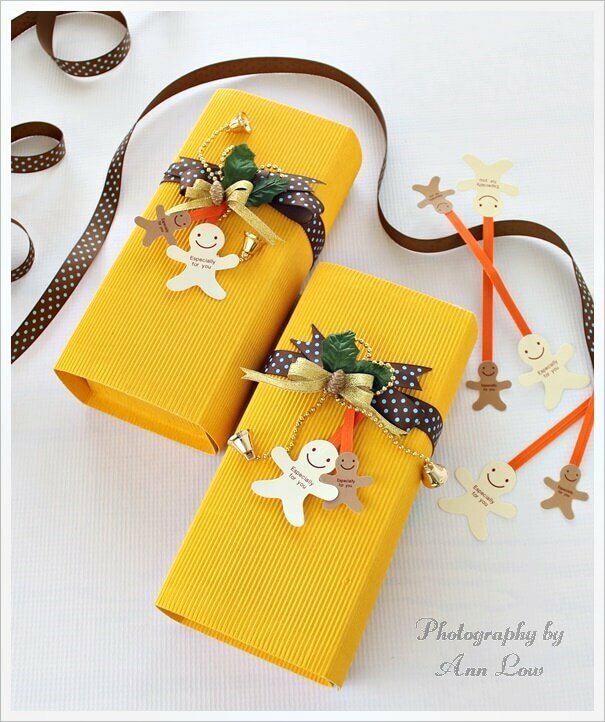 I love Christmas cake.I read your blog its really interesting and help full. Your recipe is so unique and easy to make. I only used caster sugar but you can also use brown sugar if you preferred. My recipes stated soak the dried fruits overnight. Rum compound is a thick paste of rum. You can omit this if you can't find it. 1. Do you use brown sugar or white sugar in ur recipe? 2. Do we have to soak the dried fruits for 2 weeks or just overnight will do? 3. What is rum compound? Wow this looks terrific..love that the fruits are evenly distributed and all the pictures are stunning.. I think i missed so many post of urs. very nice fruit cake and love the packaging! I have tried many times to like fruit cake but I just simply don't. They're quite popular over here during this time of the year and I always get one from someone as a gift. It makes me feel bad for not liking it because the ingredients are expensive over here. That is a beautiful fruitcake! I bought this from Phoon Huat but I think its already out of stock now. Sunlik also have some plain boxes in red color, sometime I used stencil to create design on the box. Love ur christmas cake & luv the packaging! Just moved to singapore & searched all over but couldnt find any nice packaging like urs. Can u please tell me where u get urs from Ann. Rest good and eat good! Thanks Muimui 🙂 Happy Holidays! May you have a blessed christmas and a happy happy brand new year! Wow! Your photo and baking are alway so impressive. 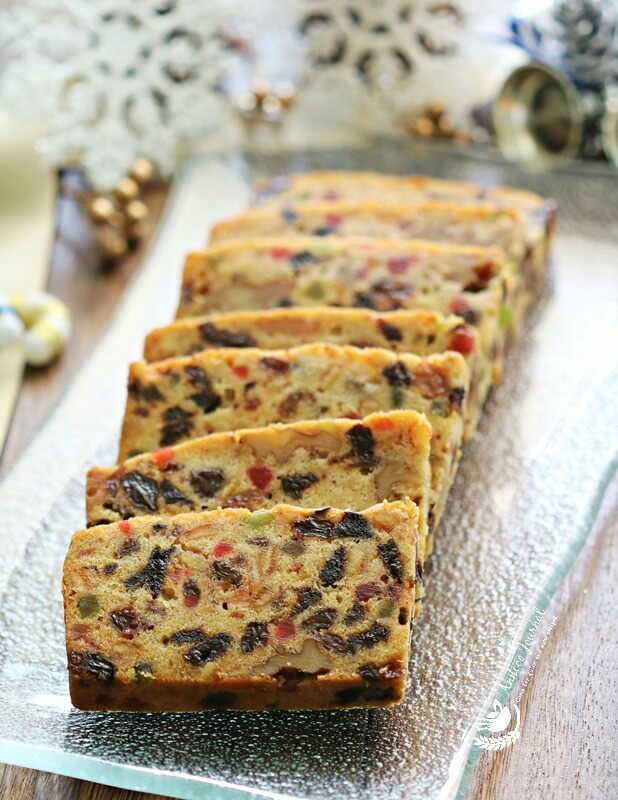 Your fruitcake looks delicious! I've been wanting to make one too. Merry Christmas to u! Ooh i forgot… Blessed Christmas Ann! What a beautiful fruit cake! Merry X'mas to u, Ann!